Last year the organisers of the race saw my profile on the Judgement Day website and challenged me to take part. Once I read what the race was about and a bit of background about the event organiser, Ken Jones, I got myself entered and started preparing for this hilly running challenge. The Fan Dance Race, organised by Avalanche Events, is a recreation of one of the challenges used in the selection process of the UK’s Special Forces personnel. 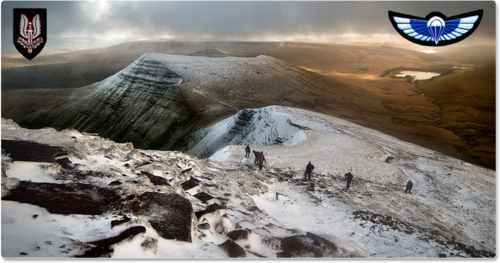 A gruelling 24km race over two sides of Pen Y Fan, the highest mountain in the Brecon Beacons. There are two options when taking part: load bearing and clean fatigue. 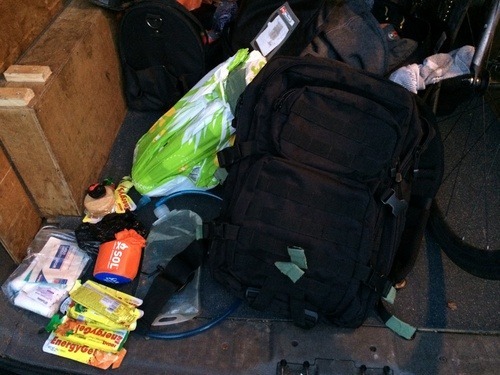 I chose to take part load bearing which would require me to carry a 35+lb (16kg) rucksack with food and water in addition. With a couple of training runs carrying a weighted rucksack and having spent a week in Norway cross-country skiing and snowshoeing over Christmas, my legs were feeling strong and I was confident I could put in a good show. I had also run in the area whilst competing in the OMM so I was familiar with the type of terrain I would be faced with and what the weather could be like…and the weather was actually as atrocious as it was during the OMM; this added to the challenge with high winds, low visibility and torrential rain to contend with! As I explained in my post race interview with Mudstacle, I used a slightly smaller bergan than most people whilst still carrying the required kit and weight. This gave me the advantage of a smaller more manageable load. On arriving at the event centre I was informed the start time had been changed due to poor weather and the load bearers had already started… whoops! With no time to loose I was given a ‘mini start’ and headed uphill a little uncertain of what pace to try and keep. I had started 21minutes late but knew I could adjust my finishing time accordingly. I started overtaking people half way up to the summit which spurred me on. On reaching the top I continued to push hard and settled into a fast pace descending to the half way point where I was to turn around to head back. Being an out and back route I knew I could calculate my distance behind the leaders from where I met them on their return journey. As it turned out, as I reached the half way mark the leaders were just leaving it…I had caught up the 21 minutes by half way. This meant I could pace myself through the rest of the race confidently in the lead and that I would be the first finisher which is always nice. I managed to jog the majority of the way back up Pen Y Fan but my pace was reduced to a snail’s pace in the last section up Jacobs Ladder. Navigation adds another dimension to this event; even though the route is straight forward and all on paths, with low visibility there were still times when I was uncertain as to whether I was completely on the right track. I did take a slightly wrong turn but realised after 100 yards that I was starting to ascend Cribyn so cut back over to the correct path. 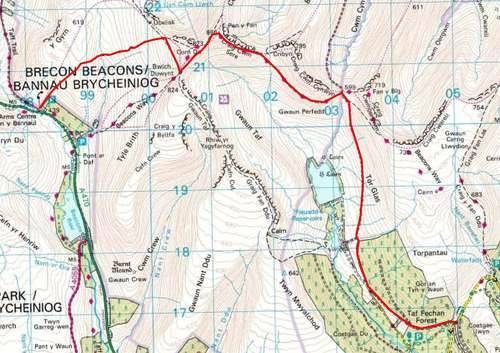 The route just below Corn Du was also altered slightly due to high winds. Once I made it back down the mountain it was an honour to shake Ken Jones’ hand and receive my finishers badge to signify the completion of the challenge. 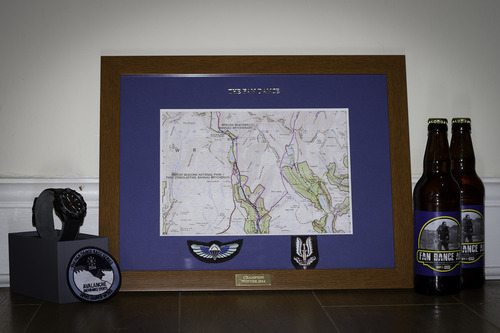 For having the fastest time, I received an awesome framed section of the map and a Nite Hawk T300 watch with a carbon fibre reinforced base – it only weighs 64 grams! During the event I was imagining what it would be like to be attempting to complete the course as the recruits do with more weight, a rifle and at the end of two weeks of hell…not a nice prospect. I feel as if I have gained a tiny perspective of the mental a physical toughness of those guys as this is an extremely tough challenge even with fresh legs and holding energy gels instead of a rifle. The next day I met up with Mark Ford, my OMM running partner, to re-run one of the legs where we had a poor route choice. 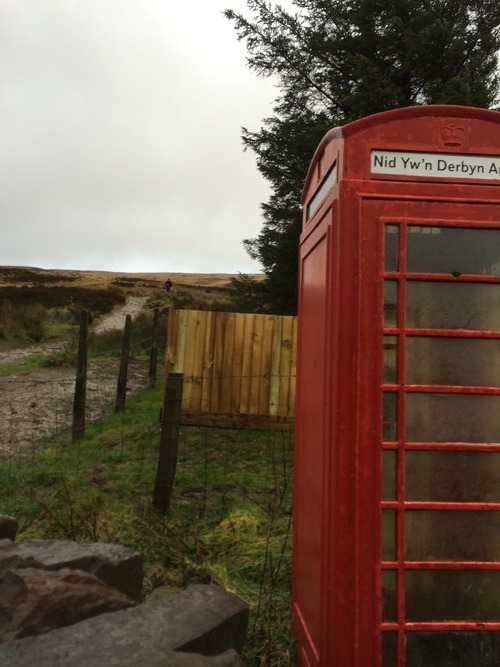 A fantastic weekend in the Brecon Beacons and I will always look forward to running there in the future… whatever the weather. My next event is the Dirty Dozen Backyard Jam and I am trying to organise a trip to try an 80km ice skating race in Sweden for February. More posts to follow soon! Wow that sounds amazing do you know if they still hold the race? Where can I find out? When you get to the end do you just turn around and go back to make it 24km?